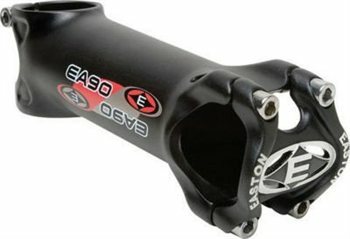 The Easton EA90 Road Stem is Easton's newest Ultra-lightweight aluminum stem weighing in at a mere 125 grams. This stem gives you the weight advantage without sacrificing stiffness or strength. Fork Clamp Diameter: 1 1/8"